Thank you for a great World Fiddle day event in Toronto! 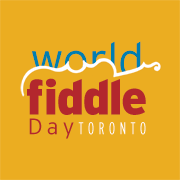 2016 World Fiddle Day Toronto was a terrific success! Thanks you for coming out and enjoying a fabulous day of learning, listening and playing fiddle music from around the world! 2016 World Fiddle Day Toronto received excellent press reviews, and some great photos. Plans for World Fiddle Day Toronto 2017 are underway. Big news: the venue for next years event will be held at the beautiful Aga Kahn museum. We look forward to our members meeting coming up in November, when we’ll be able to share more plans for World Fiddle Day Toronto 2017! Folk Music Ontario’s Estelle Klein Award, for lifetime achievement! Click here to watch the interview conducted by CBC Radio One’s Alan Neal. Congratulations Anne Lederman! You are truly an inspiration! Congratulations on the well-deserved awards Anne!! I would love to see the photos and press from 2016 but the link seems to have a restricted login access….? Thanks and looking forward to 2017!! Thank you for your comment, the link to the 2016 press is functional now!